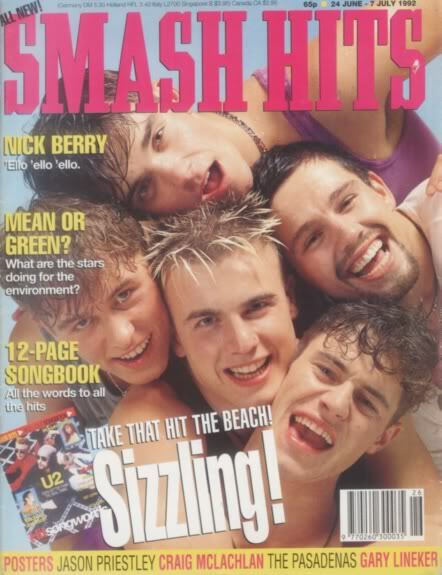 When we were young and the future was still wide open, our favourite past-time was to colour it in with fantasies. Scientifically supported fantasies, mind you. The one that drew most on an ability I could actually use later in life, was calculating the percentage of love or the mathematical compatibility between you and another person, preferably your love interest of that particular week. With a bit of plain old math you’d know within minutes whether it was worth chasing the boy or girl of your dreams. For those of you who’ve never indulged in this widely respected practice, here’s how it works. Write down your name and the name of the person you fancy, then count how many times you see the letters L O V E S. You will end up with a five-digit number – one digit for each letter. Then simply add up the first and second, the second and third, the third and fourth, and the fourth and fifth. Rinse and repeat until you end up with a two-digit percentage representing the chance of romantic success. Now, these were binding percentages: if the result was anywhere below 50 percent, you might as well break up immediately as you’d be doomed to fail anyway. 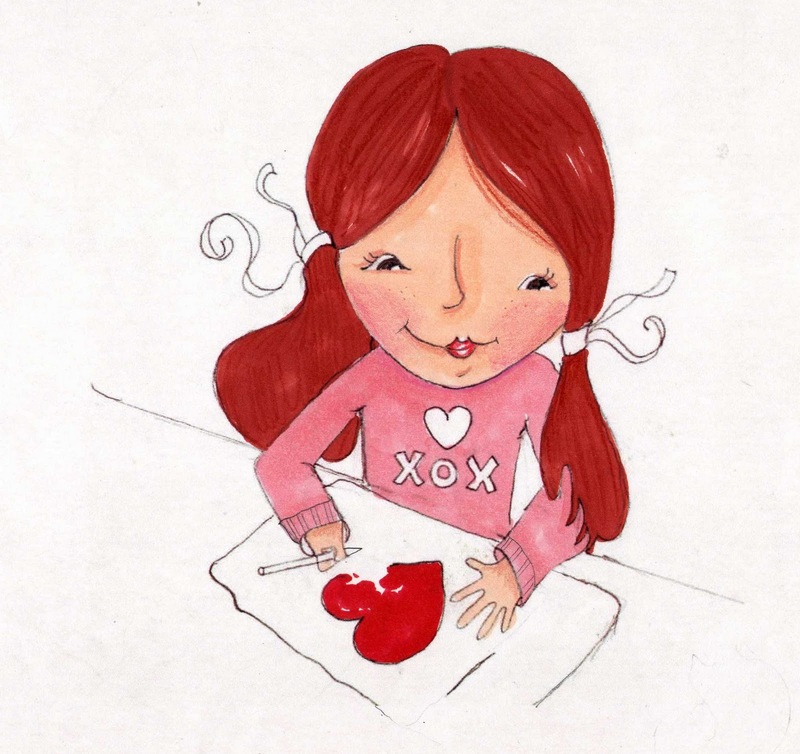 Fortunately, pre-teen girls are both helpless romantics and conniving little monsters. We were not going to let cold, hard science steal our dreams and soon found ways to manipulate the results. You could either add last names or leave them out, or include or exclude the letters L O V E S when it came to counting, and simply pick your favourite result. For example, I’ve just calculated the compatibility percentage for the man who recently asked me to marry him (unfortunately, I said yes before even thinking of checking whether science agreed) and the four trustworthy percentages my little research resulted in were 26, 42, 68 and 94 – you can guess which one I’m sticking with for now. 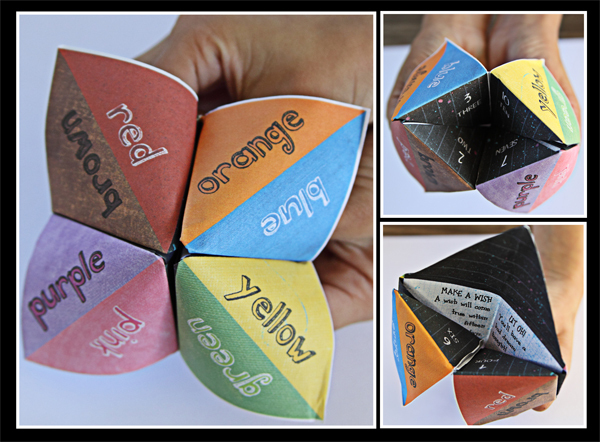 However much fun math is, the absolute favourite fortune-telling technique was the chatterbox, or cootie-catcher. In these days of Xboxes, iPads, the Internet and trashy-but-addictive reality TV shows, it’s almost unimaginable that once-upon-a-time young girls could actually enjoy themselves for hours with just one silly sheet of paper. Even though we probably should have cared more about our professional futures, recycling and the ozone layer, all our hormone-ridden brains wanted to know was when and whom we would marry, how many kids we’d have and what their names would be. Moreover, it seemed of vital importance to avoid getting imaginarily hitched to the class nerd or have children named Silly ans Billy. After all, one’s ‘destiny’ was dependent upon the number of switches and the choice of arbitrary colours. We would spend hours giggling producing them, and all breaks were filled with hysterical pre-teen laughter. It didn’t really matter what the results were, any outcome was hilarious. Perhaps we were simply craving the nosy, slightly worried looks the boys threw us while we let faith decide on their destiny. How about that for feminism? By the time we expanded our spouse search beyond the playground and decorated our bedroom walls with posters of the heartthrobs-du-moment, they too were included in the chatterbox. One lucky morning, destiny told me I would marry Leonardo DiCaprio after he’d asked me at to the local supermarket and I would give birth to twins named Ann and Rose. I decided then and there that I would just omit the supermarket bit when I would retell the story to the 27 grandchildren me and Leo would have, according to the chatterbox. If only we could trust a simple piece of origami or adding up some numbers when it comes to today’s bigger life questions. What job shall I look for? Where should I live? 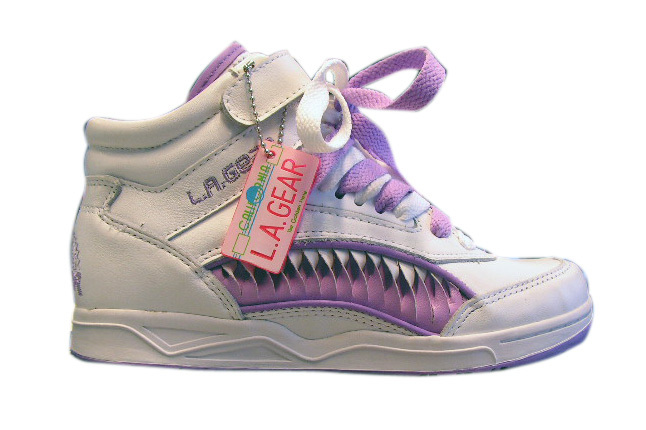 Should I buy these shoes and eat noodles all month? I’ve already nicked a sheet of paper from the office printer, and am folding my future as we speak. Anyone want to marry both Ant and Dec? I spotted singer Keri Hilson chanelling ’80s Madonna’ at the 14th Annual Beautiful People Party recently. The event, hosted by Paper Magazine and Guess, saw Ms Hilson wearing her underwear (bra) as outer wear, stone-washed denim and darkened roots with her golden blonde do. And I thought it was only Lady Gaga doing impressions of Madge these days! There were so many things to collect as a kid growing up in the 80s and 90s, be it marbles, Garbage Pail stickers, or Star Wars action figures. 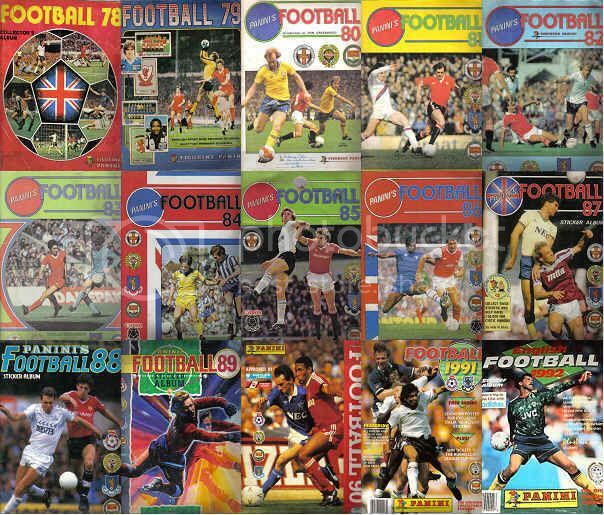 But who can forget the phenomenon that was and still is Panini sticker albums? The fact that this leading brand of collectable stickers and the books to stick them in, is still going strong to this day is by the by, but as a kid growing up back in the day there was no Nintendo DS’, iPods, or mobile phones to keep us occupied, so sticker books were a God send and kept the likes of me and my friends preoccupied in the playground. As the Italian company (founded by brothers Giuseppe and Benito Panini in 1961) celebrates its 50th anniversary this year, I Miss The Old School takes a look back at our school day memories of the brand. I was pleasantly surprised to see singer/actress Brandy rocking her old school signature braids this week. Considering it comes hot on the heels of both Solange Knowles and Kim Kardashain sporting the style, it makes me wonder if the long plaited look is making a comeback in the showbiz world. I was a proper little book worm when I was growing up, and spent hour sitting in a corner with my head buried deep in a book, so much so my parents began to get a bit worried about me, and tried to push me to go out and play with my friends, something they did the opposite of as I grew older! Lol! In my early teens, a book I could often be found reading was one from the Sweet Valley High series. 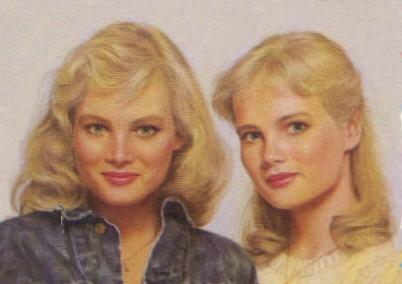 You know the ones based on the lives of twin sisters Elizabeth and Jessica Wakefield, two 16-year-old blonde-haired, pretty, all American teens and their friends, growing up in a small fictional Southern Californian town of Sweet Valley? Back in the day, before the likes of the Wii, X-Box and Play Station, the kind of games us kids had to keep us occupied were a lot ‘different’ than what you spoilt brats children have today. But even though the toys back then weren’t as high tech, in my opinion they were a lot more fun, and encouraged creativity in a way today’s gadgets and gizmos don’t. 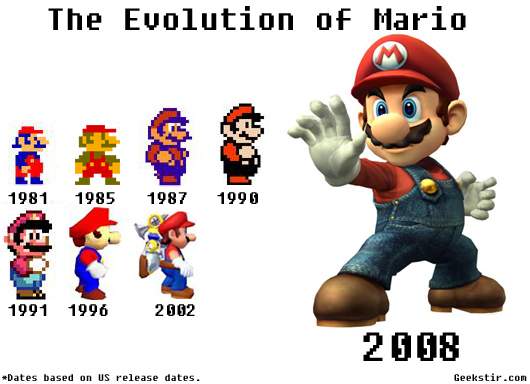 The 13th of this month saw the 25th anniversary of iconic Nintendo game Super Mario Bros… Wow, has it really been 25 years since those electronic Italian plumbers (Mario and his lanky brother Luigi) first burst onto the scene, providing kids everywhere (and some adults) with hours of fun??? This date is actually the Japanese anniversary though, as the game didn’t hit the US till 1986, while Europe and Australia had to wait until 1987 before we got our mits on it. MS DYNAMITE GOES ALL OLD SCHOOL IN NEW VID! I really love the below video What You Talking About? by Redlight featuring Ms Dynamite, and not just because I am a long time Ms Dynamite fan. It’s the imagery and fashion that really does it for me, courtesy of the super strong influences from the 80s and 90s. That’s everything from the graffiti style writing and pictures on the white background as a backdrop, to Ms Dynamite and her female co-star’s outfits of huge (door-knocker-style earrings), stone-wash denim, Reebok pumps, leggings and loud leather jacket! I decided to dig out some classic vids from back in the day, which came to mind after viewing this. Enjoy, and let me know if there are any others you can think of?